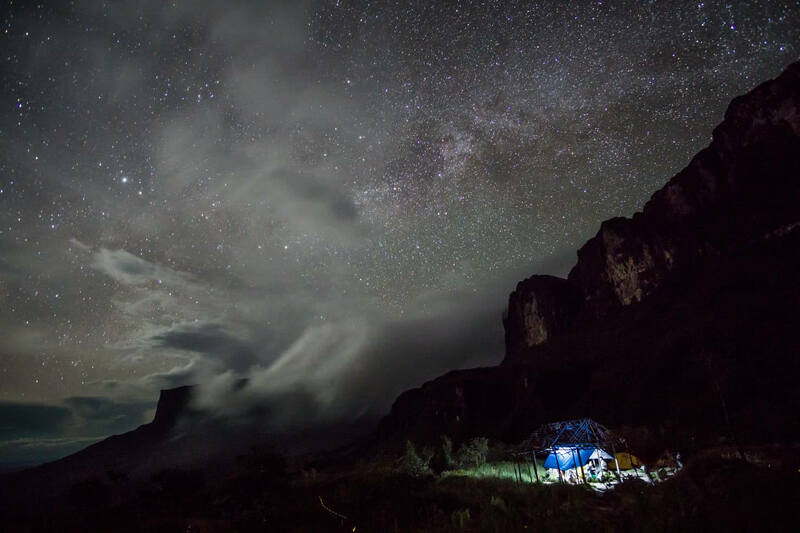 Mount Roraima Trek in Venezuela’s Canaima National Park is out of this world and one of the best treks in Latin America. From an indigenous village, it passes a dry desert-like landscape, rainforest and reaches the plateau with a moonlike landscape. Standing on top of the Roraima Tepui, where strangely formed rocks are creating gushing waterfalls from the daily rainfall truly feels like being on another planet. 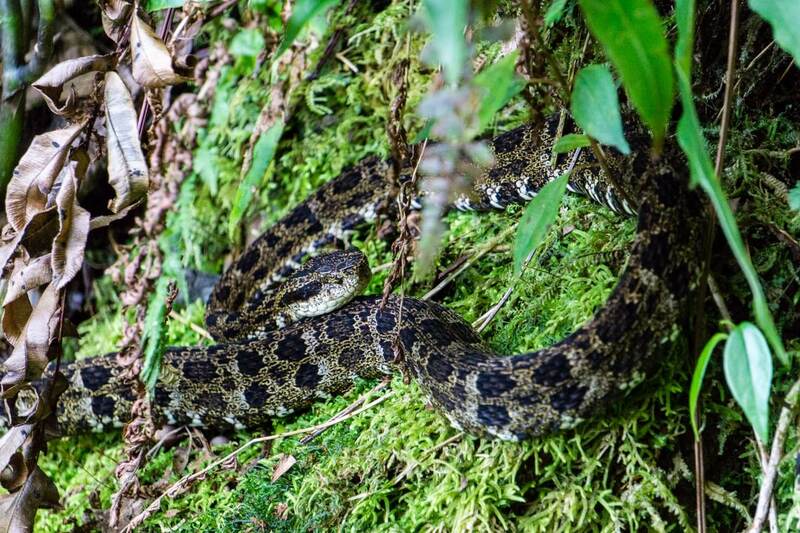 Usually a 6-days trek, covers 64km, including the tabletop (but not flat) surface where you can find many plants that don’t exist anywhere in the world and endemic animals, such as black frogs, tarantulas, and snakes. 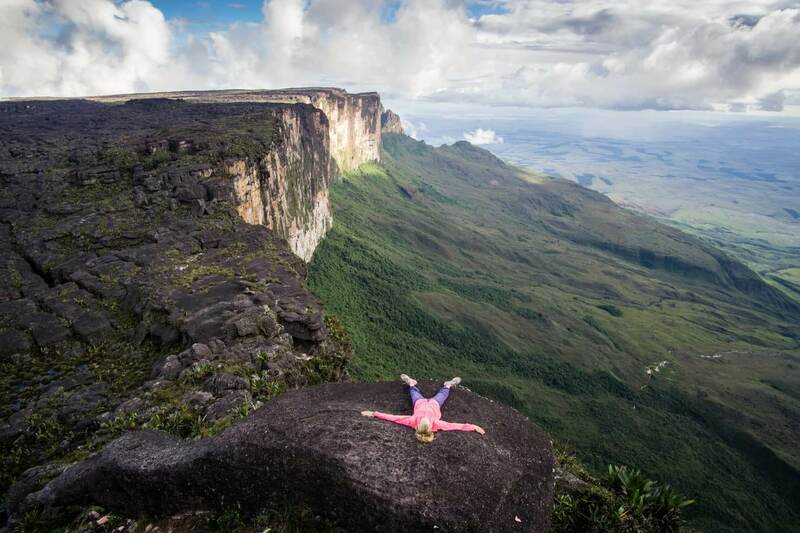 Mount Roraima is one of the table mountains scattered in Venezuela’s rainforests. 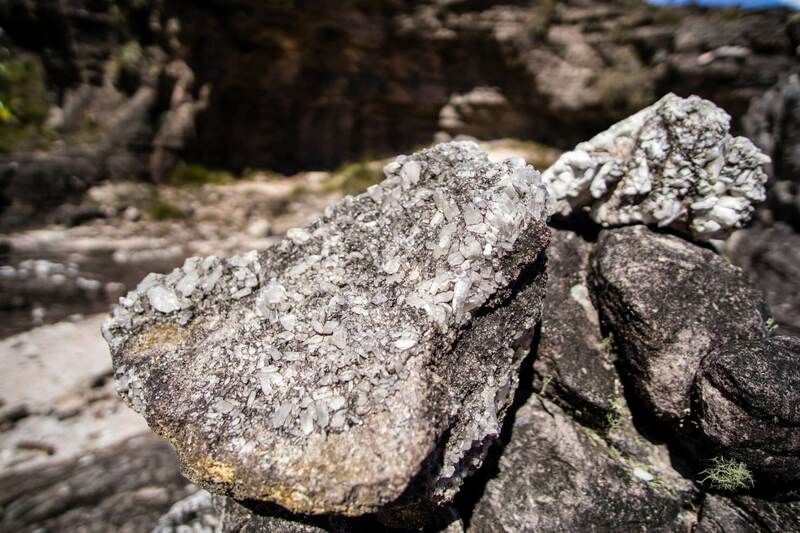 A mystic table mountain, sacred to indigenous Pemons, is considered one of the oldest geological formations on Earth, originated when African and American continents parted around 2 billion years ago. 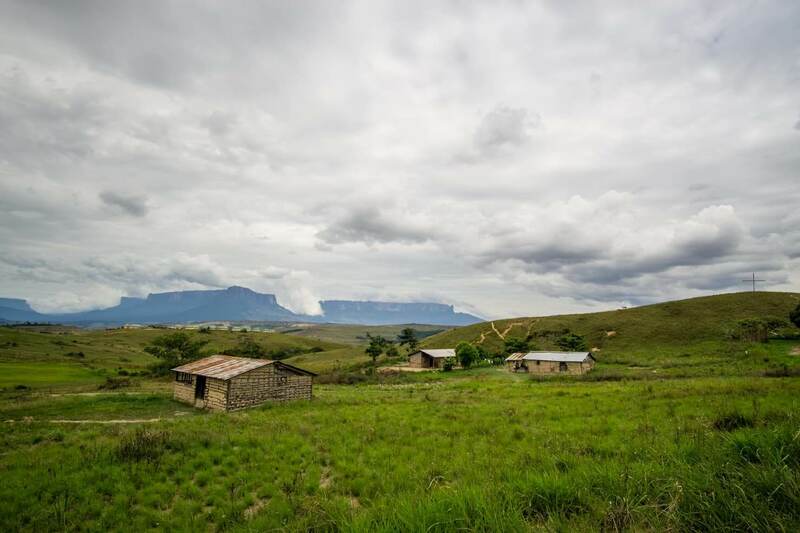 Indigenous Pemons call table mountains ‘tepuis’, which means ‘houses of the gods’. 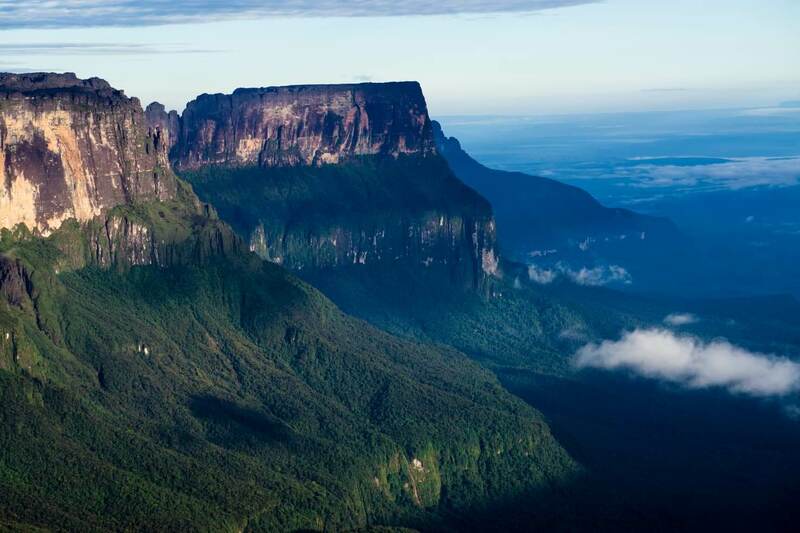 The mountain stretches on the border of Venezuela, Guyana & Brazil with the majority of the mountain in Venezuela. The only way up (apart from a few technical rock climbing options) is from the Venezuelan side near Paraitepuy village. 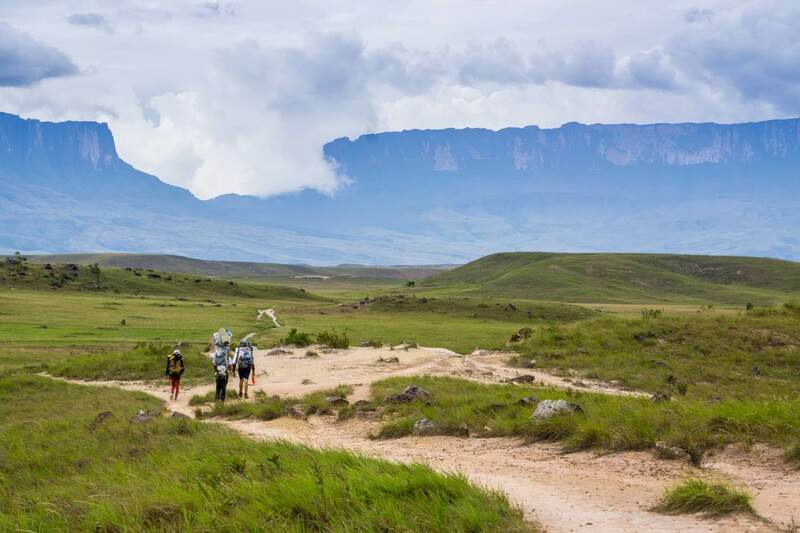 While most treks around the world focus on getting to the top, Roraima’s secrets lie on top of the plateau. It’s unlike anything we’ve ever seen before. Mount Roraima is 14 km long mountain with cliffs on each side, 600m high in a few places and the highest point, the Maverick Rock at 2,810m. The remoteness of the mountain inspired Sir Arthur Conan Doyle’s novel The Lost World which describes a plateau surrounded by cliffs where dinosaurs live. Because of the (almost) daily rain on the tepuis, the rocks and cliffs form several waterfalls. The tallest waterfall in the world, Angel Falls, is only 220 km away in the same national park as Mount Roraima.Visiting and swimming under the Angel Falls was an unforgettable once in a lifetime experience. 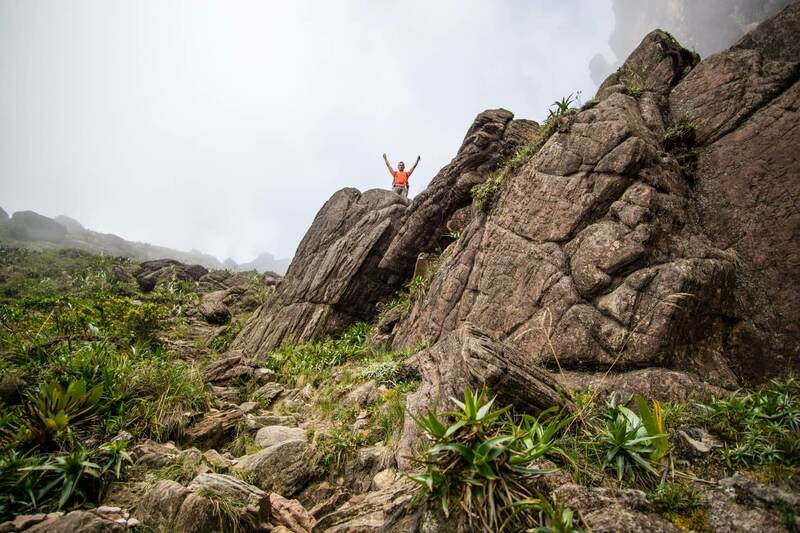 This is our story from trekking Mount Roraima with plenty of tips for you at the end. After our visit to the Angel Falls, we took a night bus from Ciudad Bolivar to Santa Elena, the nearest town to Roraima where all the agencies and guides are.We’ve met the rest of our group from US and Brazil. Strangely, I was the only girl in a group of 6 trekkers, a guide and several porters. The next morning, our guide and porters loaded jeeps with all the gear and we were off to Paraitepuy village, the starting point of the trek. Our trek started easier than we expected. We walked across savanna on a very dry and well-trodden trail. Table mountains Roraima and Kukenan were rising in the distance and the grueling sun made us walk slowly. It was an easy 4-hour walk. One of the luxuries of trekking through an agency is having porters. They carry all the food and gear except our personal stuff, set up and pack our tents and prepare all our meals. Since this was our first multi-day trek ever, we welcomed any help and could enjoy other aspects of the trek. The trail was so easy we wished we could have biked to the first camp, as some locals did on motorcycles. The Tek Camp has several clay houses providing a shelter and cooking areas for porters. Our guide told us the camp used to be full with hundreds of trekkers in the peak season. But since the economic situation in Venezuela is getting worse, not many people want to visit. We stayed in a tent next to the river which proved to be the perfect place to cool off. What a surprise. And I thought we would go 6 days without a shower. The trail got a little bit steeper as we walked approaching the mountain. Luckily it was a dry season and our two river crossings across Tek and Kukenan Rivers were easy. 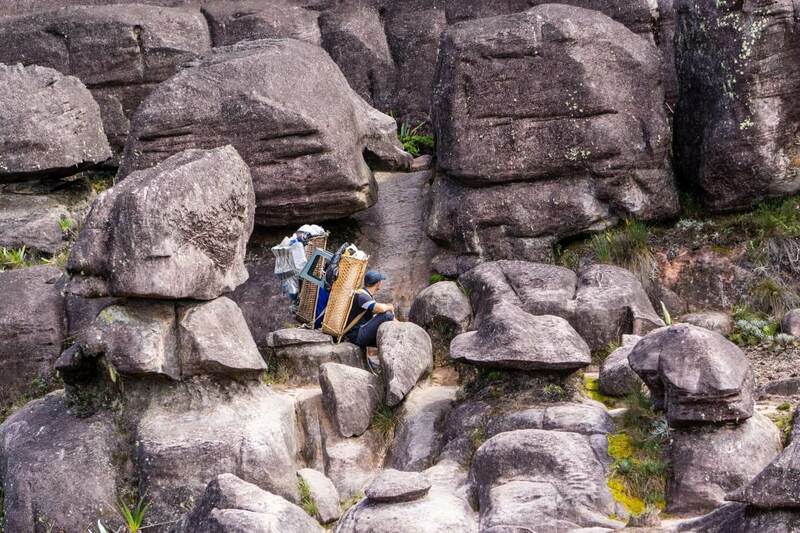 Four hours later we arrived at the base camp which sits at 1,800 meters right at the cliff side of Mount Roraima. Just in time for lunch, we set up a camp and seized the opportunity for another swim. Well, it was more of a dip in the cold waterfall than a swim. We had a tuna and veggie salad for lunch and later chicken with rice and baked potatoes for dinner. We’ve felt like eating in a restaurant the whole 6-day trek. Not only were all the meals tasty and fulfilling, it was a real food from fresh ingredients. Something too far from regular dehydrated meals people usually bring on backpacking trips due to their light weight (or three different pasta meals we’ve switched over later on a trek in Patagonia). It was the most difficult day of the trek. 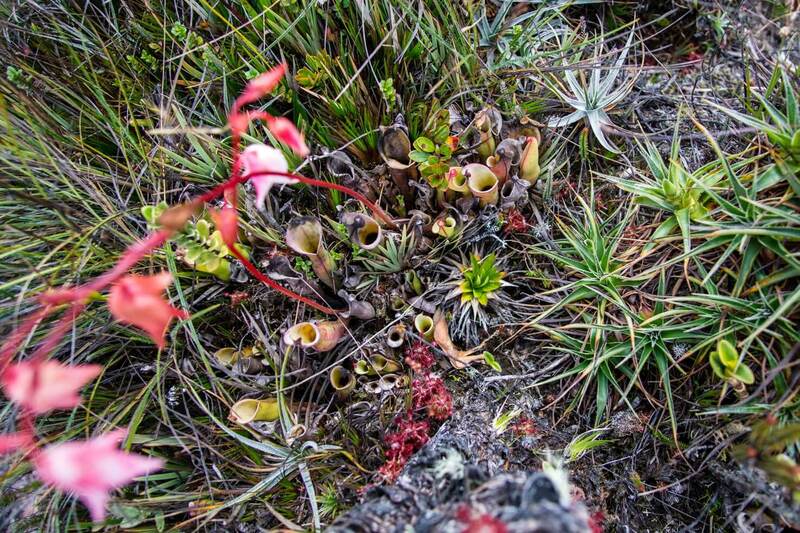 Starting from the base camp at 1,800m we were climbing steeply to 2,800m to the top of Mount Roraima. 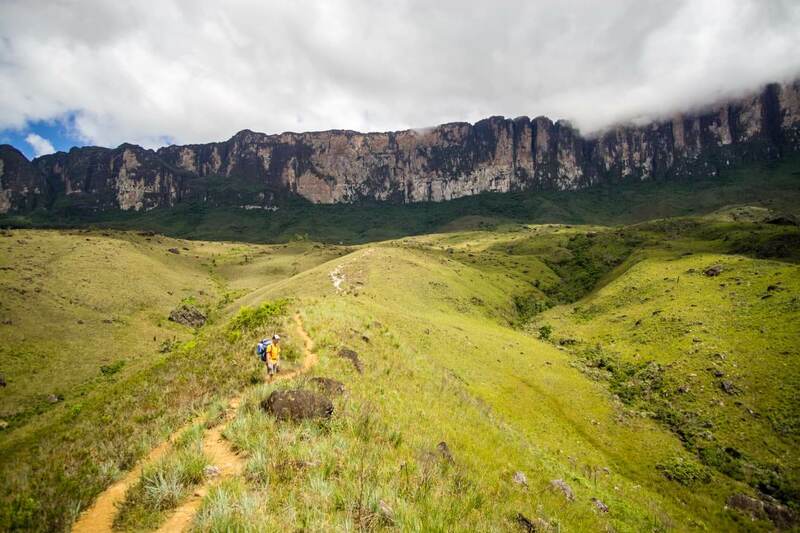 The trail follows a natural ramp along the Roraima’s cliff side from right to left through the lush and humid jungle. It looked like an exposed cliff from the distance but the trail is quite wide and easily doable even if you’re afraid of heights (according to Michal’s personal experience). The first part was challenging due to large boulders and then a hissing sound of a venomous snake along the trail. Luckily we were able to make a slight detour not to disturb him anymore. I enjoyed the climb even though my legs were burning. Everybody walked at their pace and we were in no rush. The most enjoyable part of the trail was close to the top when we walked right underneath a waterfall. When we reached the top we were in awe. Black rocks of all shapes and sizes were spreading across the top of the mountain. Unbelievable landscape. And we slept in a cave! 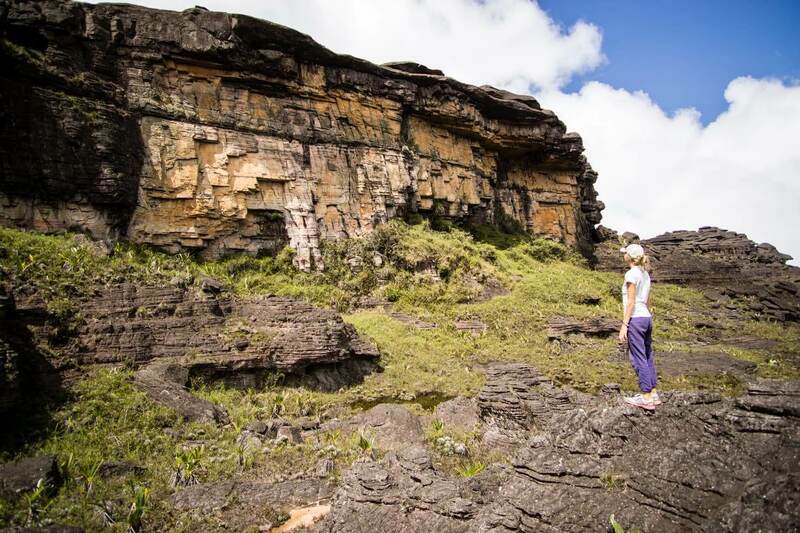 Roraima’s many overhangs were named by the guides ‘The hotels’ and our guide chose the best ‘hotel’, as we learnt the next day. 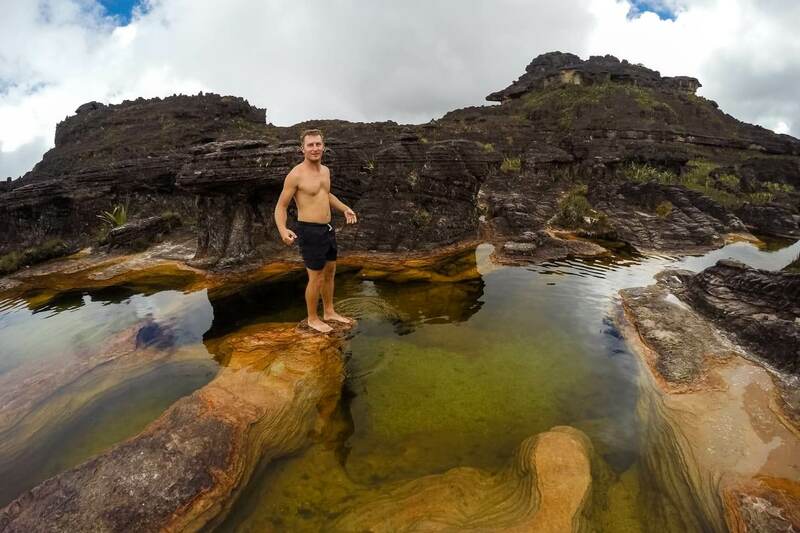 Once the morning fog disappeared, we walked to several viewpoints, made a lot of ‘I’m going to fall off the cliff’ photos and learnt about the unique fauna and flora that Mount Roraima holds. Our guide showed us a plant you can eat in case you get lost and run out of food (lucky us having an experienced guide). 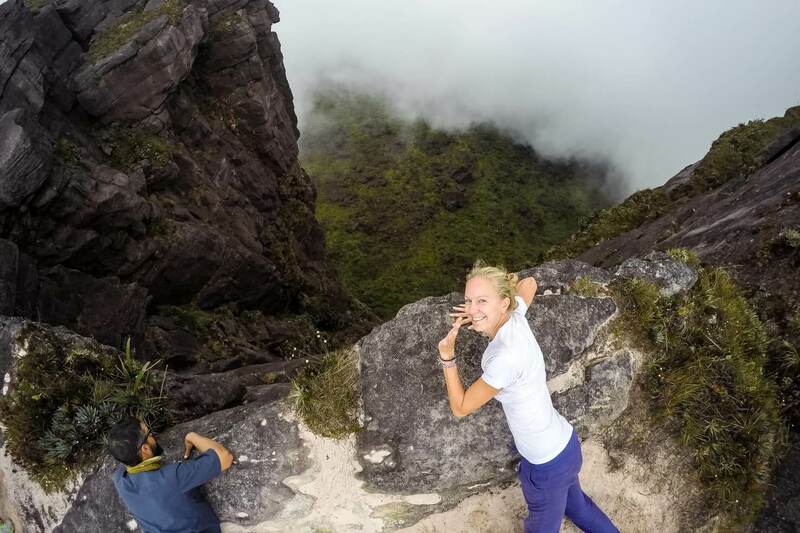 The top of Mount Roraima is very hard to navigate and even rookie guides get lost sometimes. 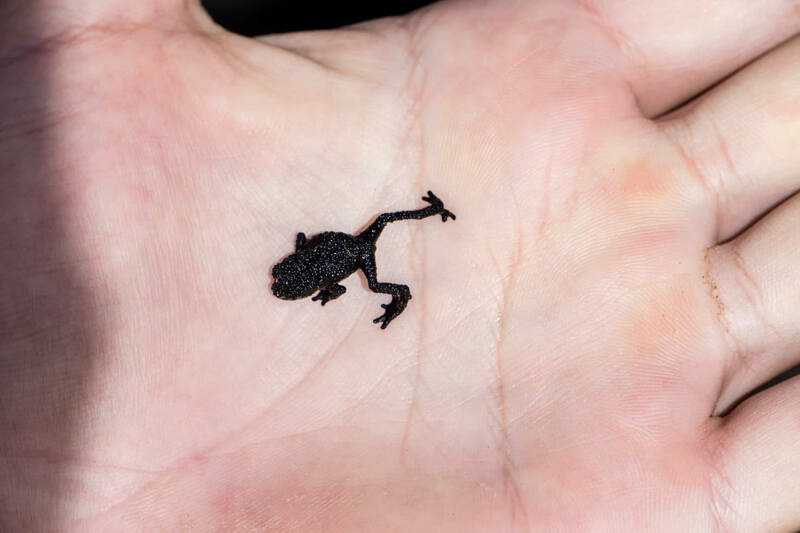 We also saw a tiny local, an endemic black frog. Michal stayed further from the edge and got dizzy just taking the pictures of me but he managed it bravely. In the evening, we found out why we had the best hotel (campsite). It was raining and the overhang created a nice waterfall right next to our tents. I doubt that any real hotel can do that. After fulfilling breakfast of scrambled eggs and arepas (typical Venezuelan bread made of maize) and packing our bags, we were on our way back to the Tek River Camp from the first day. So what we walked in day 2 and 3, we now had to cover in one day. Climbing down Mount Roraima through the morning fog, we felt incredibly grateful for the experience Roraima prepared for us. We were coming down the steep cliff through the humid bush filled with fresh morning air. Several waterfalls were gushing down the mountain from the cliffs after the rainfall from the previous night. We even walked under one of them, something we hadn’t experienced while climbing up few days prior (because it didn’t rain that much). It was as if the mountain was saying goodbye to us. Nobody was concerned about slippery rocks. Our porters were ahead of us and prepared lunch in the base camp. And after a short break, we continued to the Tek River Camp. After the long day of trekking, we jumped into the river for the last sunset near Mount Roraima. The sun on the savanna was unbelievably strong. We refreshed in every stream along the way. Much to our surprise, the Paraitepuy village had a snack bar (or a pop-up window) with cold beers. Everyone in our group was making turns to buy beers for our amazing guide, porters and the rest of us. When a jeep picked us up, we headed to San Francisco village for lunch. Locals had a few stands set up with souvenirs and I was able to buy the quartz mineral from Roraima on a necklace, my most cherished gift from South America. 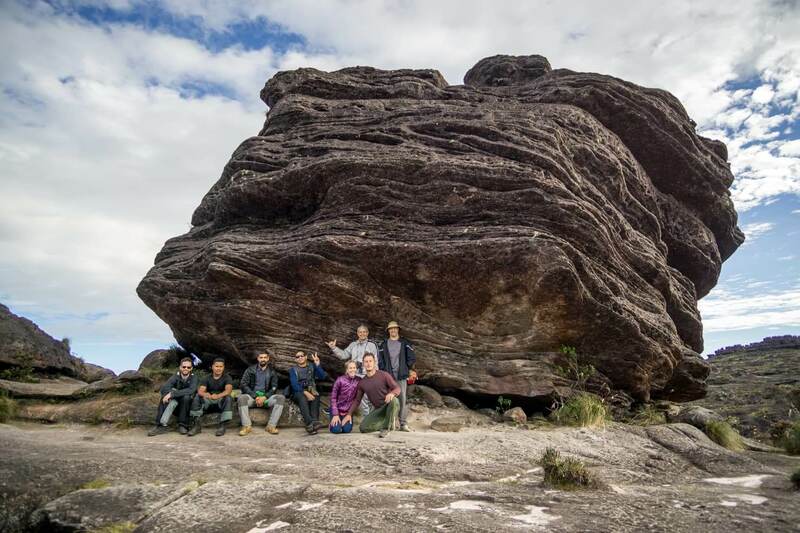 Even though we couldn’t communicate with some of the Brazil trekkers because we don’t speak Portuguese, we all made a strong connection during the trek, had fun while camping and remained friends with all the trekkers, porters and the guide. So if you’re looking to visit Venezuela, I’d be more than happy to get you in touch with them. 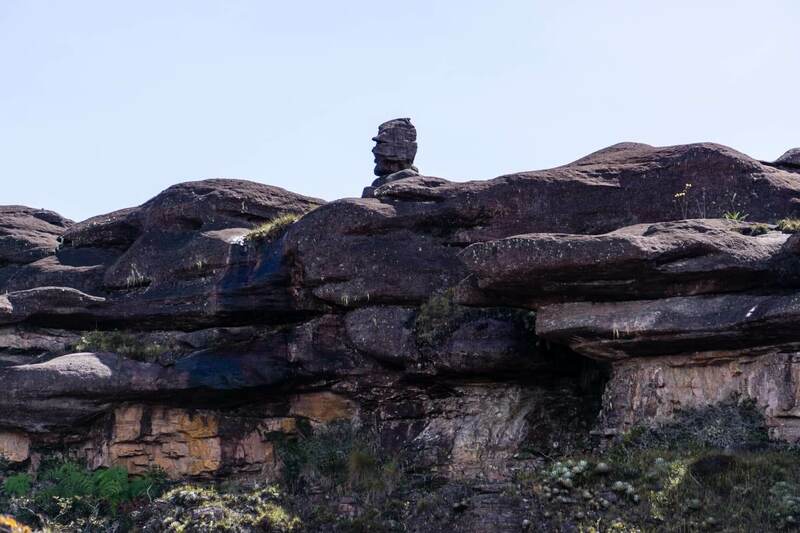 This trip remains to be one of the highlights of our trip across South America and I would recommend anyone looking for a unique experience to visit Roraima. We booked the trip through the same tourist agency we used for Angel Falls. 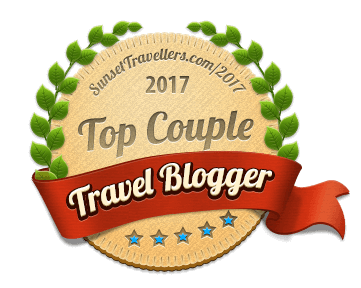 They are based in Ciudad Bolivar and also helped us get tickets on the night bus to Santa Elena. However, there are plenty of agencies at Santa Elena’s bus station. Since the Venezuelan Bolivar is going through an extreme inflation, most of the agencies require payments in US dollars. 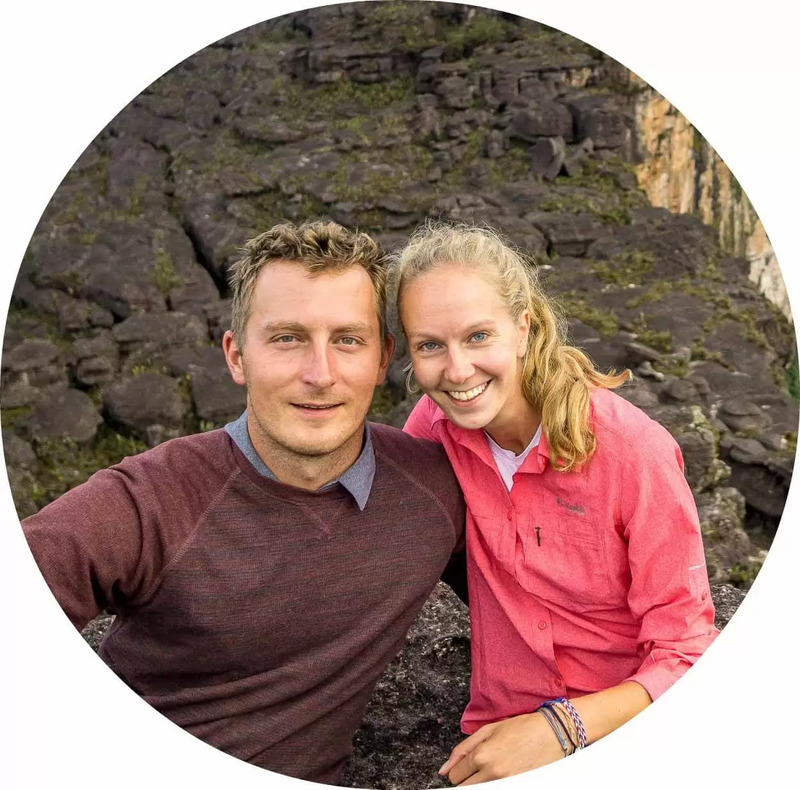 We’ve paid 225 USD per person (it would be cheaper if you buy at Santa Elena bus station) for the whole 6-day trek including transportation, camping gear, food, porters and a guide. And if you’re satisfied with everything as much as we were, make sure to have US bills for tips. You can also go independently but you will need a guide. Every hostel in Santa Elena should be able to recommend someone (or I can recommend a great guide, just shoot me an email!). 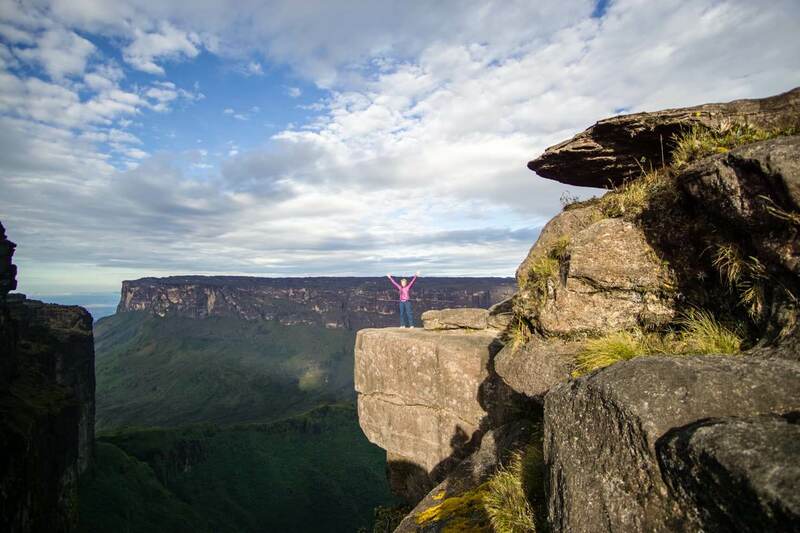 Not only the guide is mandatory for Mount Roraima Trek, you’ll be glad you have one once you reach the top of the mountain. With all the rock formations and massive area, you can get lost even if you’re using GPS. This option is even cheaper. You would have to arrange transport to and from Paraitepuy village, have all the necessary camping gear and carry enough food for 6 days. The dry season is from April to December but the trek can be done all year round. 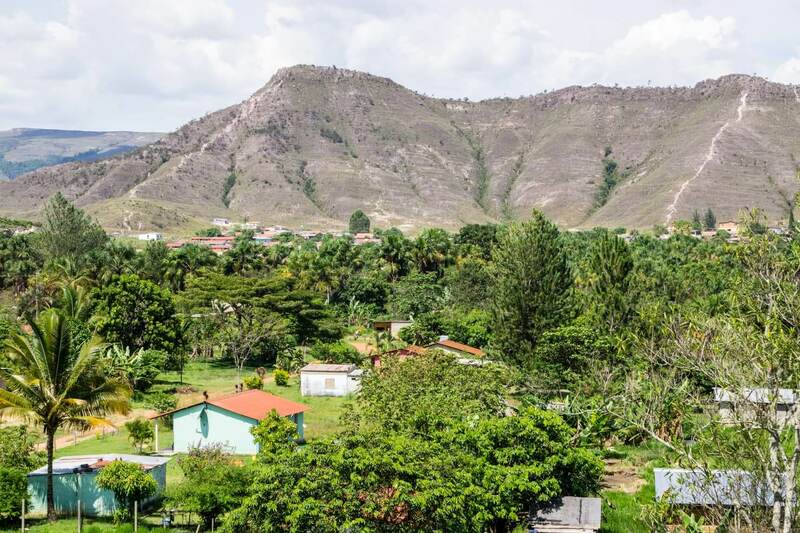 Santa Elena might be dry but expect rain on the mountain. 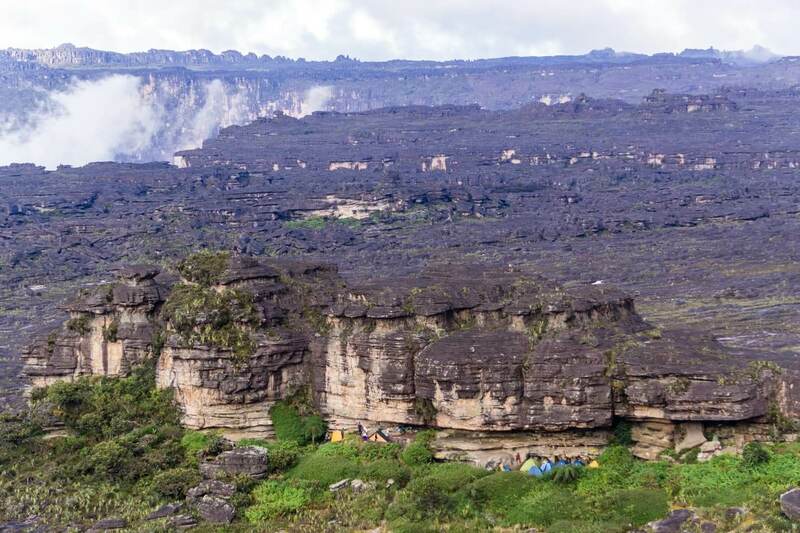 It is usually raining every day of the year on top of Roraima. Apart from usual trekking clothes, there are some essential items you should bring to enjoy the trek. Repellent – I haven’t seen a single mosquito but sand flies called puri puri can make you quite miserable. You won’t even notice those tiny bloodsuckers but they leave nasty itchy patches. Make sure to use repellent after you cross a river or go for a swim. Water bottle – there are plenty of streams or rivers on the trek. 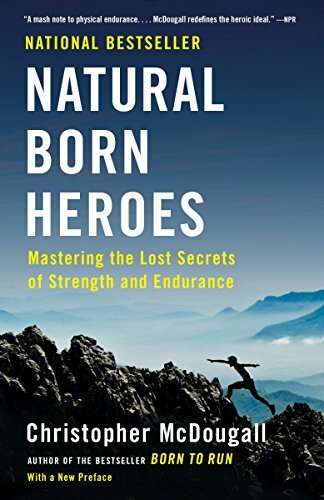 We, or anybody in our group, haven’t used water filters or any purification tablets and were just fine. The only time we used water filters was on top of the mountain when we drank from tiny pools in rocks. 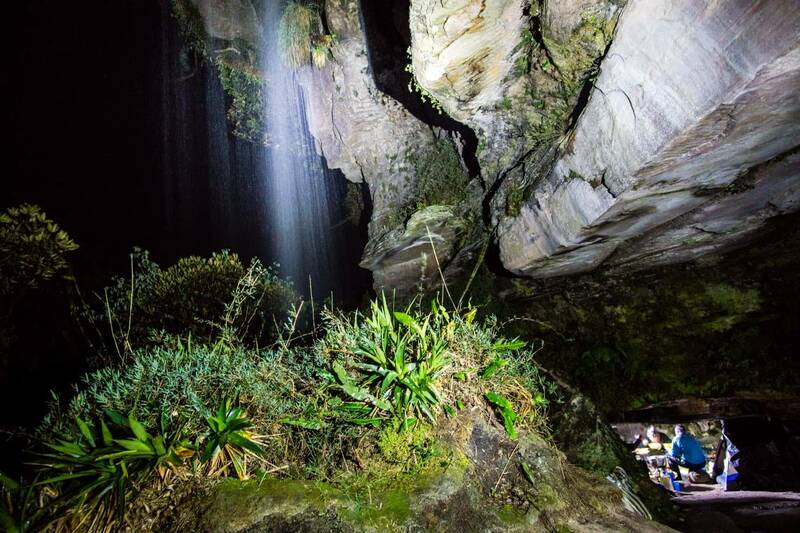 Rain jacket – if you get wet on Roraima, it is most likely any clothes won’t dry until you get down to savanna. Travel insurance – better be safe than sorry. 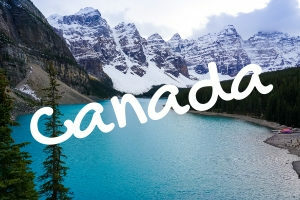 We use and recommend World Nomads. From our extensive research regarding travel insurance, they provide the best value. You can check their plans here. Even though Santa Elena is close to Brazil border and therefore you can buy here a lot of things that other Venezuelan towns lack, don’t expect it’s easy to find camping gas or camping food in stores. Venezuela is going through a food crisis and no international brands are imported to the country either. It’s much easier to bring everything you need from elsewhere rather than rely on finding it in Venezuelan stores. Although we weren’t hungry during our time in Venezuela, we made a few visits to the stores and saw alarmingly empty shelves in Ciudad Bolivar. The selection of food in stores, although not wide, was better in Santa Elena. Search facebook groups or Couchsurfing website and talk to travelers who have been in Venezuela recently so you have the latest information about their situation. As much as I love Venezuela, it is not an easy country for travel. We never felt in danger but several people approached us on the streets to make sure we hide the camera right after snapping a picture, not to walk the streets at night or away from the frequented places.